Yesterday was ‘Stir-up Sunday’. The last Sunday before Advent where traditionally, families gather together in the kitchen of their homes to mix and steam Christmas pudding. It’s also the day lots of people choose to make their Christmas cake. I’m not a fan of dark, fruit cakes so don’t make one however I have been investigating the possibility of making a ‘White’ Christmas cake this year although this will be nearer to Christmas. We spend Christmas day with our combined families at Mr Birdie’s family home so I’m lucky not to have to worry too much about catering for Christmas day which also means I don’t need to worry about making Christmas pudding. 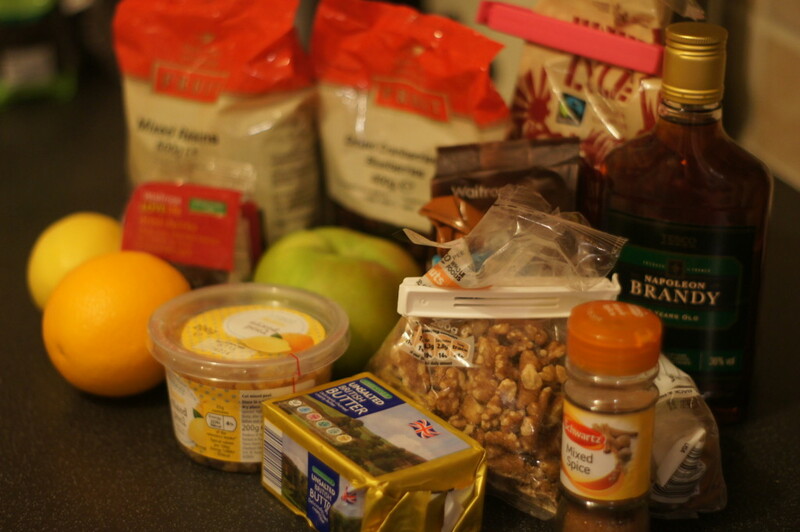 I didn’t want to miss out on ‘Stir-up’ Sunday so decided to have a go at making my own mincemeat. I decided to use Jo Wheatley’s recipe which you can find on her blog here. I used slightly different quantities which I found on another blog. I’m looking forward to trying some recipes other than mince pies with it. 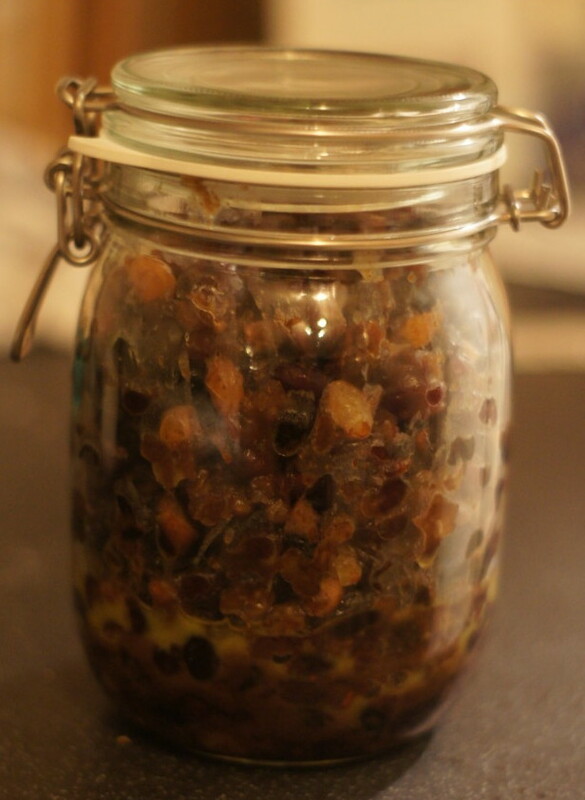 You will need some sterilised jars to store your mincemeat in. This guide from the BBC Good Food website explains what you need to do. 1) Pre-heat your oven to 150C/300F/Gas 2. 2) Put all of the ingredients except the brandy into a roasting tin (I used a glass Pyrex one) and mix well. 3) Cover with foil and place in the oven for about 1-2hrs; or until everything has combined and the fruit is juicy. 4) Take out of the oven and leave to cool slightly (approximately 1 hour). Add the brandy, stir and leave until completely cold. 5) Decant into air tight containers (I used sterilised Kilner-style jars) and keep in the fridge or a dark dry place for up to 3 months.